Police said Prashant Nutt has confessed to shooting Inspector Subodh Kumar Singh in Bulandshahr. A second man who led the fatal attack on a police officer in Bulandshahr, Uttar Pradesh, during the mob violence of December 3 has been arrested. The police said the man, identified as Kalua, had attacked Inspector Subodh Kumar Singh with an axe, chopping off a couple of his fingers and then inflicting a head wound. After that, the officer was shot. Prashant Nutt, the man who allegedly pulled the trigger, was arrested on December 28. Subodh Kumar Singh's body was found in an SUV abandoned in a field. The officer was part of the police team called in to control a mob that had gone berserk after carcasses of more than 20 cows were found in the outskirts of a village in the district. The man was arrested from a bus stand on Monday night, pushing up the number of accused arrested in the case to 30. "Kalua said on December 3, he was felling a tree to block a road. When the inspector stopped him, he attacked him with an axe," said Atul Kumar Srivastava, a senior police officer of Bulandshahr. 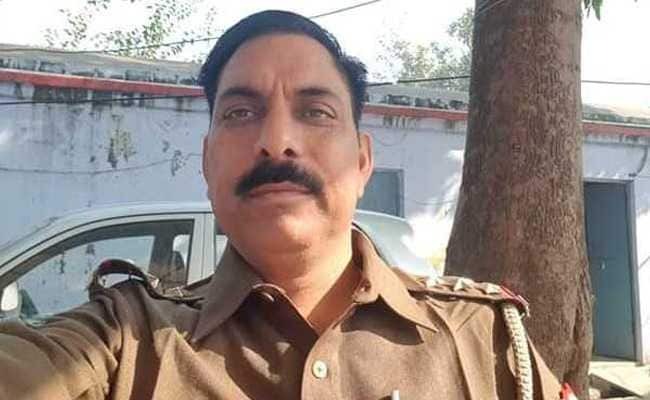 Police Inspector Subodh Kumar Singh was hit with rocks and sticks, attacked with an axe and then shot dead by a crowd in Bulandshahr. Prashant Nutt, Kalua and a third man, Johnny, who had snatched the officer's revolver were identified from a cellphone video from the spot. All three are residents of Bulandshahr and a hunt is on for Johnny. The police are also looking for the man who allegedly instigated the attacks - Yogesh Raj, a member of the right-wing Bajrang Dal. Yogesh Raj claimed he was innocent and has been absconding since. An army man, Jitendra Malik, who was suspected to be one of the main accused in the killing, was arrested on December 9 and is currently in judicial custody. The police said he was present at the spot and instigated the mob against the cops.